Print Up to 13" x 19"
Print vivid colour photos plus equally rich Black and White prints. This amazing 10-full colour pigment LUCIA Ink system delivers unparalleled professional photo quality plus gray, black and matte black inks for professional Black & White photos. The pigment ink set also exhibits excellent colour stability with virtually no short-or long-term colour drift, resulting in incredibility smoother gradations for archival quality photo prints. Canon encourages artists' creativity by allowing them to print on the widest range of materials not produced from a printer manufacturer. With that in mind, Canon software (that comes standard with our PIXMA PRO inkjet printers) can recognize over 200 3rd party ICC profiles, including many of the TIPA award-winning photo papers over the last seven years, like the three-time consecutive-winning ILFORD GALERIE Prestige Mono Silk photo inkjet paper. 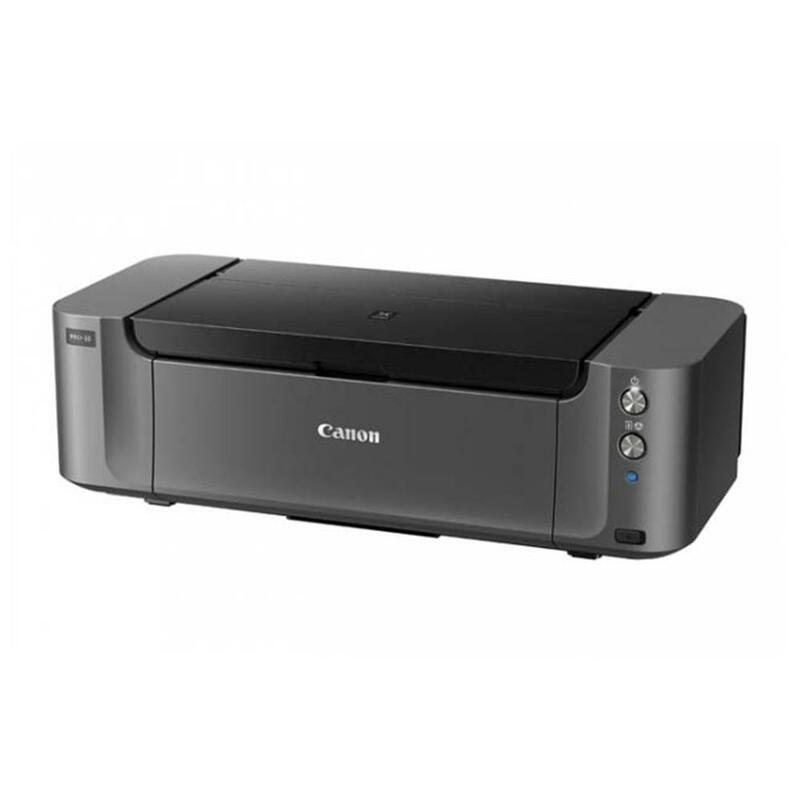 The many awards Canon printers receive prove how the patented FINE print head dramatically improves image quality. Another benefit that is truly appreciated is its reliable performance. Designed with three times as many nozzles as some competitive models, Canon's FINE print head is built to clog less so you don't waste ink. With Canon, more ink is put to good use on your final image, and less is lost while cleaning a print head. Print your photos for the room they are going to be displayed in. Select the type of lighting under which a print will be displayed and the Ambient Light Correction program will adjust the colour of the final print. This adjustment will ensure the displayed result is a professional quality photo print that looks exactly as the photographer had intended. Raise your level of professional print quality. Smooth gradations and subtle details are revealed using the PIXMA PRO-10's three monochrome inks. Photo Black, Matte Black and Grey shades enhance black density and dynamic range for professional prints ready to display anywhere. 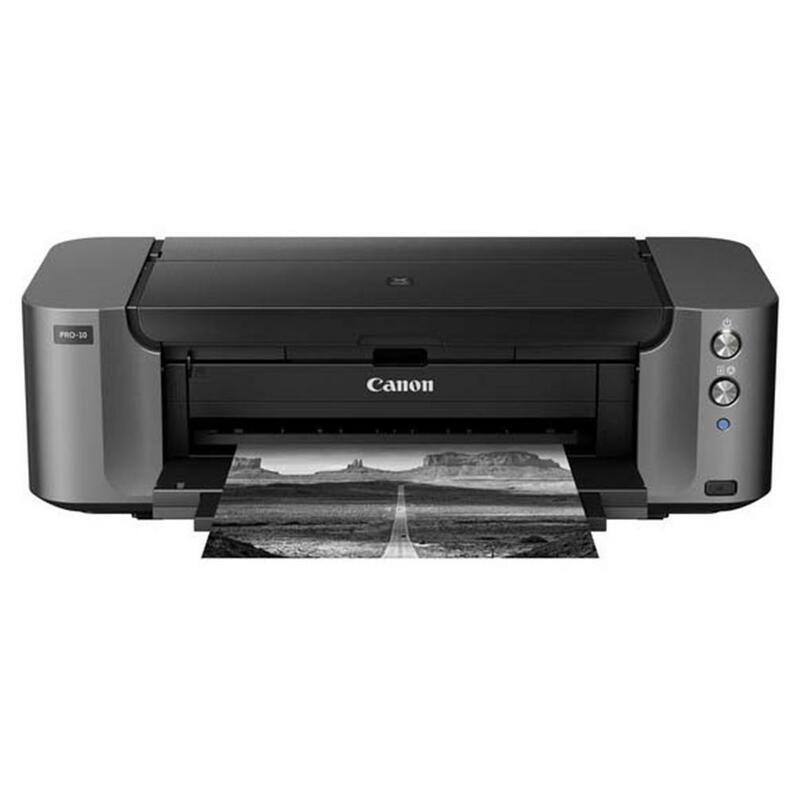 With a choice of Wi-Fi or ethernet connection, you can hook up your printer in the optimal location and access it on multiple devices. Whether you're printing business papers on your desktop or your son's presentation on your laptop, you have the freedom to print the documents you need on the spot, seamlessly and smoothly. Reflect true colour. Avoid prints that show wrong colours or a metallic lustre (bronzing effect) with PIXMA's Chroma Optimizer. By applying a polished surface to your print, the irregular reflections that cause the bronzing effect are suppressed, giving you true, uncompromised colour.